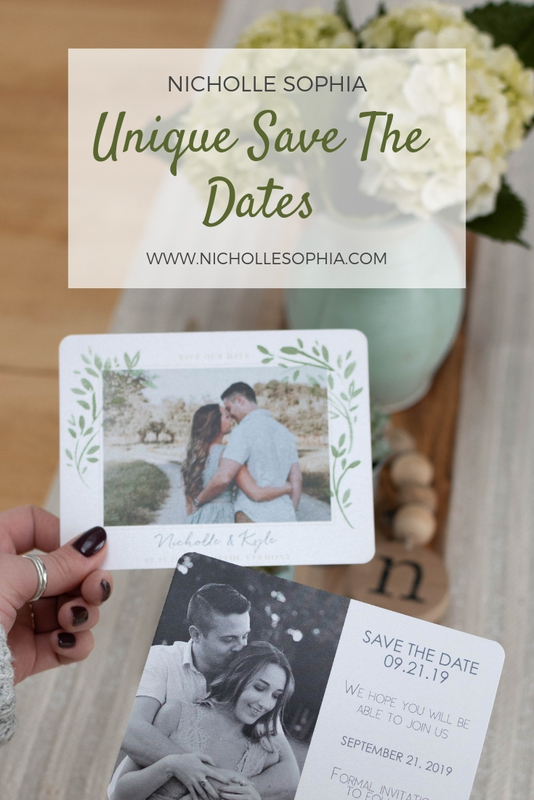 I'm so excited to be sharing with you our save the date cards! I can't believe our wedding is less than a year away. I've been having so much fun picking everything out, from the decor and food menus to these unique save the dates. 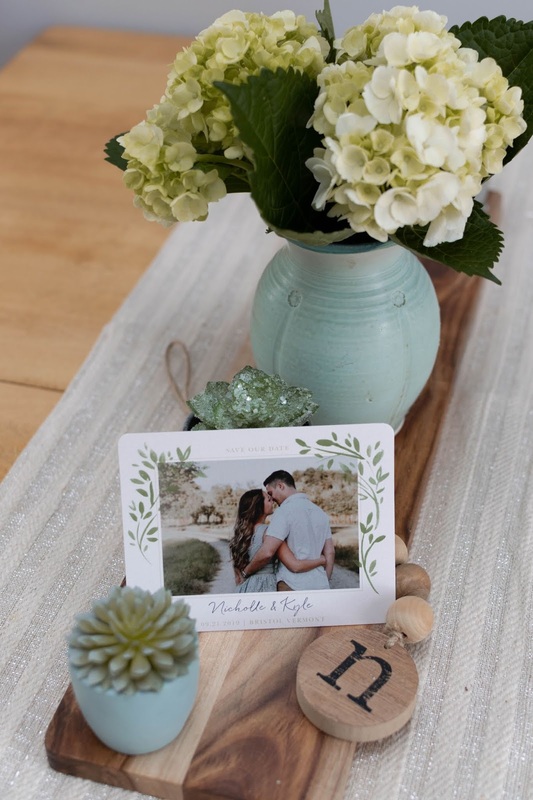 I had no trouble at all finding the perfect cards over on Basic Invite's site. I cannot believe how easy it was to pick our save the date! I'm not the quickest decision maker and I often have a hard time committing to a bigger decision but I picked our cards in under 30 minutes! What made my decision so easy was the ability to see my picture in so many different card options. I also love that Basic Invite allows you to order a sample card if you're on the fence about which one to get. These factors all played into the easiest decision I've had to make for my wedding. Basic Invite is one of the few websites that allows you almost unlimited color options with instant previews online. Once you select a design you can change the color of each element on the card to over 180 different color options- and let me tell ya- I did try out almost all of the 180 colors! You're able to make sure the card is exactly how you want it - down to the smallest detail. I never really thought much about all that goes into a wedding, until of course, I am now planning one of my own. After ordering my save the dates, I realized I need wedding invites, which have so many inserts such as rsvp cards, menu cards, directions, the list goes on! Basic Invite has you covered! 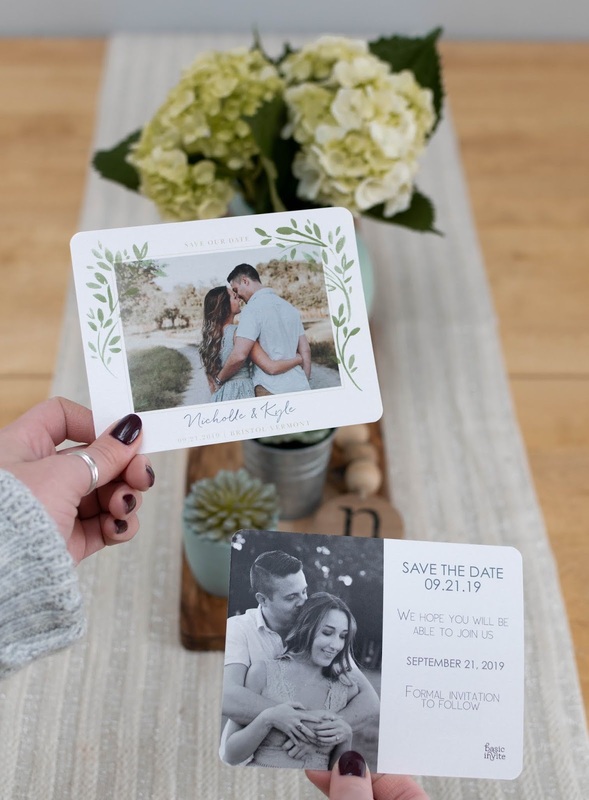 There are so many matching sets that you are able to order wedding invites that perfectly match your save the dates! You can also create a wedding website to match! ( I didn't even know I needed a wedding website-yikes!). The last thing that really caught my eye was the cutest wedding drink coasters, how cute would they be sitting on the tables during cocktail hour!? Whatever your wedding needs are Basic Invite has you covered! I can't wait to share more wedding updates with you all! omg what the heck these are so cute! I love all these designs! These save the dates are so pretty. I got married last summer and wish I would have known about Basic Invite. I love hearing about companies like Basic Invite that you can get EVERYTHING from! Planning a big event like a wedding can be so exhausting and time consuming and it's nice to have one-stop-shop type places to get large amounts of work done at once! I love those save the dates!